Italy About Blog Discover Vogue.it for the latest trends of fashion shows , fashion, beauty and shopping. Read all the latest news about celebrities and stars. Facebook fans 2,351,065. Twitter followers 1,138,679. Milano About Blog Glamour.it consists of all about health and beauty, articles and news on hair , make up, fitness, diets and much more. Facebook fans 678,946. Twitter followers 141,425. Italy/Venezuela/USA About Blog Fashion, Beauty, Lifestyle and Travel Blog by Maggie Dallospedale. Facebook fans 73,317. Twitter followers 431,982. Italy About Blog Tr3ndygirl is a Fashion & Style Blog Created to express my fashion concept and share it with anyone who loves this industry of inexhaustible genius. Facebook fans 179,085. Twitter followers 61,852. Milan About Blog Alice Cerea is an Italian blogger and influencer with assets of a partnership in the role of reporter for the magazine Vanity Fair and Glamour caliber . Facebook fans 295. Twitter followers 117,944. Milano, Lombardia About Blog The Ugly Truth of V is the fashion blog with all the news about fashion trends, fashion weeks, style, look, outfit and beauty of Virginia Varinelli. Facebook fans 95,135. Twitter followers 11,392. Bergamo, Italy About Blog Style tips Friendlies according to the latest trends. Reviews cosmetic and beauty rituals. Facebook fans 95,717. Twitter followers 83,072. Milano, Lombardia About Blog Trend and The City is an Italian fashion blog by the blogger Sonia Grispo. Trend & The City began as a focusing of fashions and trends and evolves becoming an aggregator of stimulation, inspiration and content themed lifestyle, fashion, travel and technology. Facebook fans 15,176. Twitter followers 13,080.
napoli About Blog Fashion and lifestyle blog by Mariagrazia Ceraso. Italy About Blog Italian fashion blog by Martina Favaro. Facebook fans 4,573. Twitter followers n/a. Milan, Italy About Blog TheLadyCracy is the most fun fashion blog-zine of Milan. It is Updated on fashion, custom and news from the national and international fashion panomarama. Facebook fans 17,551. Twitter followers 4,103. Facebook fans 11,025. Twitter followers 11,259. Italy About Blog Mrs.Noone is an Italian fashion & travel blog by Carmen Vecchio. Facebook fans 11,981. Twitter followers 7,910. About Blog F-Lover Fashion Blog by Gina Beltrami. Facebook fans 1,575. Twitter followers 246. Florence, Italy About Blog At My Fantabulous World, is a blog by Elisa Taviti, who along with the help of her boyfriend Riccardo, she publishes her look, her travels, the events in which she participates and shares her daily life. Facebook fans 36,781. Twitter followers 10,230. Firenze, Toscana About Blog Fiammisday, the fashion blog for moms and kids who advises you the right outfit for any occasion. Facebook fans 42,387. Twitter followers 6,246.
modena About Blog Daily Imperfect Style blog by Angela Pavese. Facebook fans 11,658. Twitter followers 711. Cremona About Blog The fashion blog of Elisabetta Bertolini, ie a space in which emerge all of his passions. Scripture, outfits, travel, beauty and lifestyle. Facebook fans 219,873. Twitter followers 47,099. About Blog Two young style buffs Filippo Cirulli and Filippo Fiora radiate their harmonious vision of style through the web, become an archetype of contemporary menswear before achieving worldwide success. TheThreeF is the first Italian Menswear Fashion & Lifestyle Blog dedicated to Personal Outfits, Men's Fashion and lifestyle. Facebook fans 21,645. Twitter followers 7,447. Italy / France About Blog I like vintage, made in Italy. I created the murder closet to share inspirations with girls who like to steal in the closet of my grandmother and who do not take fashion too seriously. Facebook fans 5,656. Twitter followers 4,114. Rome About Blog Outfits & Street Style Italian Blogger. Facebook fans 6,879. Twitter followers 180. About Blog Shouts Style is the official blog of Alessia Canella, fashion and lifestyle bloggers from Vicenza, Italy. I do not deal only in fashion, but the overall trend, moving from food, to travel to technology, and more. For me fashion it means knowing how to choose the right piece, without getting caught by the shopping frenzy, because you can be beautiful and stylish even with low cost garments. Facebook fans 11,723. Twitter followers 4,426. Milan, MI About Blog Hello, my name is Federica Di Nardo. This blog covers fashion, beauty, outfit, travel and more. Facebook fans 14,707. Twitter followers 1,550. Facebook fans 61,443. Twitter followers 5,834. About Blog Hi, I am Nicky. My wish style is my personal fashion blog. My blog features my outfit, travels, beauty and wish styles. My personal fashion diary. Facebook fans 7,341. Twitter followers 2,594. Lucca About Blog Over 40 Style Blog edited by Sandra Bacci. Discover all the latest trends of smilingischic, fashion blog fashion, inspiration, street style, lifestyle for over 40s. Facebook fans 23,883. Twitter followers 2,345. About Blog Very's Fashion is a way to share Veronica's passion for the world of fashion and everything revolves around her. Facebook fans 13,291. Twitter followers 958. Florence (Italy) About Blog The first Italian men's fashion blog outfits, fashion, men's fashion, advice on style, menswear, tailoring, bon-ton, beauty and lifestyle. Facebook fans 31,923. Twitter followers 15,052. Milan, Italy About Blog Fashion blogger in Milan, Italy. Anja Tufina writes about personal style, fashion trends, beauty products. The Dolls Factory is a blog with a broad range of topics from personal style, fashion, beauty, lifestyle, and travel. Facebook fans 15,214. Twitter followers 17,047. Brescia About Blog Eniwhere Fashion is a Fashion Blog, covering outfits, trends, innovations, ideas for clothing, personal stories and more In this particular diary talk about fashion, designers, always brand creations and from a personal point of view. .
Facebook fans 1,579. Twitter followers 1,609. Milan About Blog Fashion blogger living in Milan interested on fashion, street style, beauty and traveling. Facebook fans 7,746. Twitter followers n/a. Milan, Lombardy About Blog We have always had a passion for fashion, accessories, clothes, shoes, bags ... in short, all that is fashion, in all its forms and color. Facebook fans 4,778. Twitter followers 6,413. About Blog Fashion and style blog by Paola Lauretano. Facebook fans 2,252. Twitter followers 176. Milano, Lombardia About Blog Fashion Need is a fashion, travel & lifestyle blog. Hi I am by Valentina Rago based in Milan. Everyone should follow their interests and dreams and never give up on them. This is why I continue having my fashion, travel and personal style blog. Facebook fans 1,964. Twitter followers 115. About Blog Irene Buffa, founder and main editor of Onto my Wardrobe, a style journal about fashion, lifestyle, beauty and travel. Facebook fans 50,588. Twitter followers n/a. Torino About Blog Purses & I. It was born in early 2010 at the beginning of the fashion blog phenomenon in Italy. Purses &I is currently one of the 10 most popular personal style blog in Italy, much appreciated for the quality of the images and contents. Laura Comolli covers fashion, lifestyle, beauty, travel and more in her blog. Facebook fans 45,826. Twitter followers 20,114. Italia About Blog My name is Giorgia , I'm 32, I'm Sicilian but I live in Milan. This blog is about fashion, makeup, lifestyle and anything that can help make life pleasant or, as I like to say to me, soft. Facebook fans 21,007. Twitter followers 2,694. About Blog Official The Cherry Jam lifestyle blog. Lifestyle, fashion and beauty told through photos, posts and videos. Italy About Blog Marina Ghirga decided to write a fashion blog because she loves all that is fashion and she loves to talk about it. Facebook fans 792. Twitter followers 360. About Blog This blog is not meant to impart fashion lessons to anyone but simply to tell myself through images, and video, but mainly in order to interact with people who can give something extra to my person making me grow day after day. Facebook fans 11,554. Twitter followers 206. Roma About Blog The blog of Roberta Costantino of fashion, beauty, travel, tv series, movies, digital and more. All told with the personal touch that distinguishes blogger. Facebook fans 4,470. Twitter followers 3,110. Modena, Bologna About Blog The Gummy Sweet sugary is the vision of the world seen through the eyes of Eli. Fashion, lifestyle, beauty, music and his beloved city of Bologna! Facebook fans n/a. Twitter followers 4,581. Milan About Blog Looks and fashion tips by Erika Boldrin on My Free Choice Fashion Blog. Facebook fans 22,216. Twitter followers 13,705. About Blog THIS IS ME, is a personal blog by Tommaso Rosati featuring fashion, art, travel, beauty. The blog focuses mainly on trends and innovations in men's fashion, offering unique style interpretations which highlight the details that become followers for a new source of inspiration. It offers the most exclusive fashion trends man with travel sections and Beauty man. Facebook fans 36,539. Twitter followers 4,741. Milan About Blog From love for kids and fashion addiction, the passion for kids' fashion. Roma, IT About Blog Riccardo Onorato. Plus size male fashion blogger, Rome. Guy Overboard is a menswear fashion blog with outfit, beauty, lifestyle, news, style & shopping. Facebook fans 22,645. Twitter followers 2,200. Italia About Blog PFG Style was founded in 2011 as the first site that contaminates fashion and literature. An alternative cut to see, tell and live the fashion: it is telling weaving warp and weft, sewing threads of a story. Here readers find ideas and tips to give their insights into the aesthetic aspect, while the brands choose us because we are an online platform that allows you to use the story. Facebook fans 7,204. Twitter followers 2,034. Tuscany, Italy About Blog Alessandra Oliva's blog Ideas Stylosophia provides looks and reviews on fashion, beauty and all that is style. Facebook fans 4,219. Twitter followers 138. About Blog 2 Fashion Sisters is the new fashion blog of Cristina and Chiara on the latest trends in fashion, cosmetics and luxury goods. Facebook fans 14,329. Twitter followers 1,801. Perugia About Blog Glamour fashion blog fashion editorial style, creatives in fashion and avant - garde looks by Martina Cancellotti. Facebook fans n/a. Twitter followers 3,370. Roma About Blog This is a Style, lifestyle, beauty & Travel Blog by Flaviana Boni. Facebook fans 3,692. Twitter followers 1,926. Italy About Blog Like a candy shop started as a diversion, a little space of my own in which to express myself through colors. Then, with the passage of time, it has become an increasingly important part of my life, making me realize that the world of cosmetics is what most attracts me and intrigues, and work with shapes and colors is my true passion. Facebook fans 3,006. Twitter followers 333. About Blog Marco Taddei's passion for the male style,jacket , tie, shirt and shoes were the ingredients to make a man , a real gentleman. This Passion he conveys through his blog. Facebook fans 14,583. Twitter followers 356. Italy About Blog Culture & Trend was created in January 2013 by two Brazilian sisters, Jessica and Juliane primarily focused on fashion. Culture & Trend also speaks of culture besides makeup, gourmet, travel, health. Facebook fans 11,240. Twitter followers 35,352. Italy, Rome About Blog Martinandrea Chiella is a journalist, model and attrice. She shares many tips on her blog in the world of fashion and makeup. A lot of the content of her blog, from beauty tips to outfit and then move on to the street style and trends of the moment. Facebook fans 71,680. Twitter followers 3,700. Salerno About Blog Official fashion blog for The Ladyboy by Enrie Scielzo. The Ladyboy, the first Italian blog dedicated to fashion transgender. Facebook fans 21,839. Twitter followers 350. PARMA, ITALY About Blog The Fashionamy is an Italian fashion lifestyle personal blog by Amanda Marzoini. It is Italian professional blog for brand collaborations. This blog covers outfit, lifestyle, beauty, travel, events and more. Facebook fans 3,693. Twitter followers 1,563. About Blog My name is Veronica, I'm 25 and I'm a fashion blogger in Rome. This blog covers Style tips, outfits and reviews to date. I also deal with fashion, beauty, travel and lifestyle. Facebook fans n/a. Twitter followers 3,289. Florence, Italy About Blog I started it in July 2013 as a creative outlet where I document my day-to-day outfits, fashion trends and all the exciting little or big things my favorite brands have to offer. Facebook fans 2,406. Twitter followers 1,029. Milan About Blog Real outfits & real emotions, living my life between fashion and love. Thus is not just fashion blog, but a daily diary where to find inspiration for everyday life. From fashionable lifestyle, from travel to beauty. Facebook fans 32,325. Twitter followers 1,278. Milan, Italy About Blog Sophia Salaroli is an Italian - French fashion blogger with heart between Milan and Paris. On her blog she shares with all her love for fashion and design. Italy About Blog Italian Fashion Bloggers is the official website of the Italian fashion blogger. Provides daily news from the world of fashion , it organizes events and puts in communication operators in the world of fashion and bloggers. Facebook fans 21,953. Twitter followers n/a. About Blog Manuelita Italian is a fashion blogger providing tips on fashion, travel, beauty and lifestyle trends, fashion shows and more on her blog Unconventional Secrets. Facebook fans 14,812. Twitter followers 2,310. Facebook fans 64,448. Twitter followers 201,946. Rome, Italy About Blog This blog covers personal outfits offering of different ideas to those who follow them, to post about the latest trends , the beauty , the trips and more. Facebook fans 1,796. Twitter followers 3,178. Naples, Italy About Blog My name is Maria born in Naples. My biggest passions are fashion and photography. Mariateresa Scotti is a Fashion & Lifestyle Blog focused on outfits that follow the trends. Facebook fans 223. Twitter followers 60. Milan, Italy About Blog I am Petar. This blog is about fashion, travel and Milan, the three things that I live for. You will find some of my favorite outfits of the season, fashion stories such as collection review and fashion weeks, travel reviews and more. Facebook fans 1,059. Twitter followers 228. Milano & Paris About Blog This is the personal thought of Carolina Ogliaro, creative director of Theworldc.com and fashion and luxury editor. Over the years Carolina had the opportunity to collaborate with Italian and foreign brands, carefully selected, and participate in important events, presentations and fashion weeks. Facebook fans n/a. Twitter followers 11,156. Roma About Blog Fashion is an intimate story. Fashion is loved by a few fanatics, by many intellectuals and the free heads. Fashion is intellectual freedom. This blog is my personal point of view on fashion, trends, beauty, travel and lifestyle. Facebook fans 725. Twitter followers 299. About Blog This is a fashion and lifestyle blog by Silvia. Facebook fans 197. Twitter followers 304. About Blog Parma / food quality control / freelance writer of fashion businnes. Turin, Piedmont About Blog This is a fashion blog by Raroika. Italy About Blog Lanieri provides refined custom menswear made by finest Italian tailors. It makes tailored suits, shirts and ties. Their products are the result of an endless research for the highest quality fabrics and for the most prestigious workshops. Facebook fans 58,345. Twitter followers 484. About Blog This is my blog my little world where chocolate makes you fat, the clocks have no hands and you can always travel, is my wonderland where I enclose what I like to do, where I talk about fashion , shopping, outfits, art and frivolity because it lightly at times we live better! Facebook fans 23,071. Twitter followers 140. About Blog Beauty & the City is a container of trends and news from the world of beauty: a constantly updated space that takes stock of cosmetic innovations, new makeup, the beauty icons, creams, perfumes, hair style and all the what is beauty. The blog is managed jointly by Valentina and Sonia Grispo. Facebook fans 6,477. Twitter followers 6,572. Milan, Bologna About Blog This blog by Sabrina Tassini covers Fashion outfits and reviews, Interior Design and Lifestyle tips, events, projects and travels. Facebook fans 748. Twitter followers 1,274. Roma, Italia About Blog Hello, I’m Eleonora Branca. Italian girl living in Rome. I began KALEIDOSCOPICMIRROR as a way to express my personal point of view about fashion, but quickly began to see how my fashion style crossed over into all aspects of my life. This blog is a personal look inside my world of fashion, food, street culture, travel, music and design. Facebook fans 21,324. Twitter followers 1,668. Modena , Italy About Blog A fashion and trend focused Italian lifestyle blog. Reasons to Dress is a blog by a style blogger & a 3rd generation Italian leather artisan. Facebook fans 5,473. Twitter followers 2,233. Mountain View, CA About Blog Comprehensive up-to-date news coverage about Italian Fashion, aggregated from sources all over the world by Google News. CONGRATULATIONS to every blogger that has made this Top Italian Fashion Blogs list! 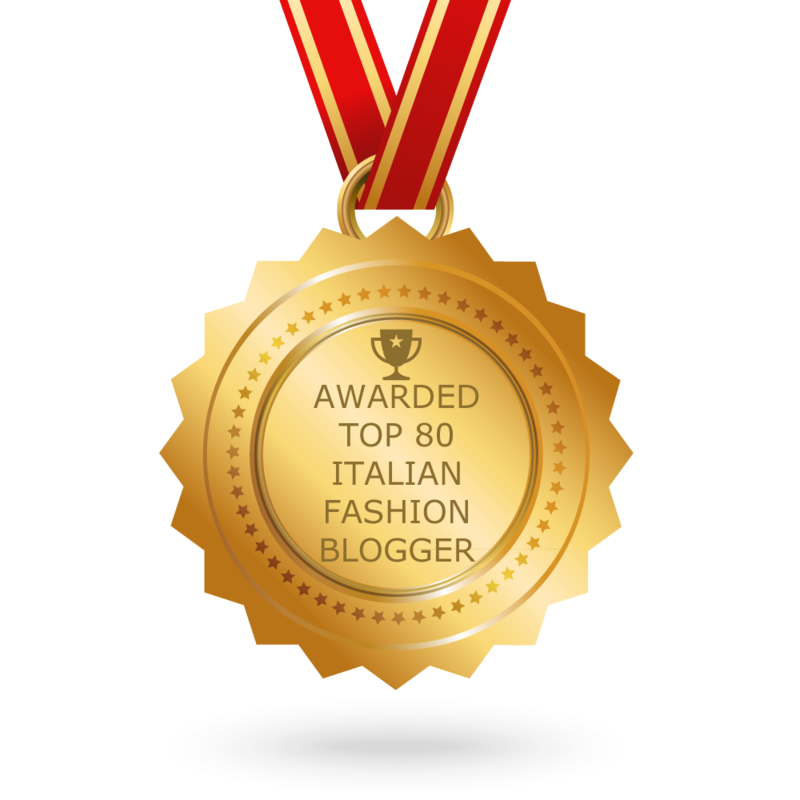 This is the most comprehensive list of best Italian Fashion Blogs on the internet and I’m honoured to have you as part of this! I personally give you a high-five and want to thank you for your contribution to this world.